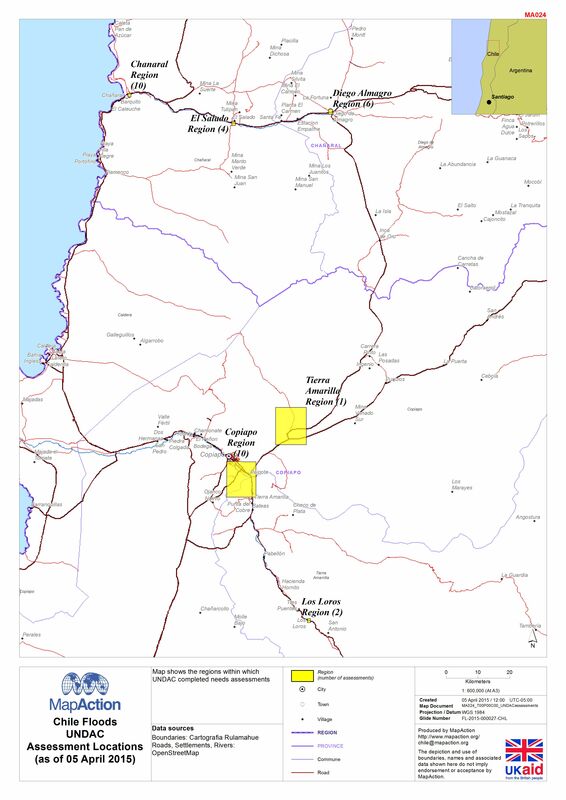 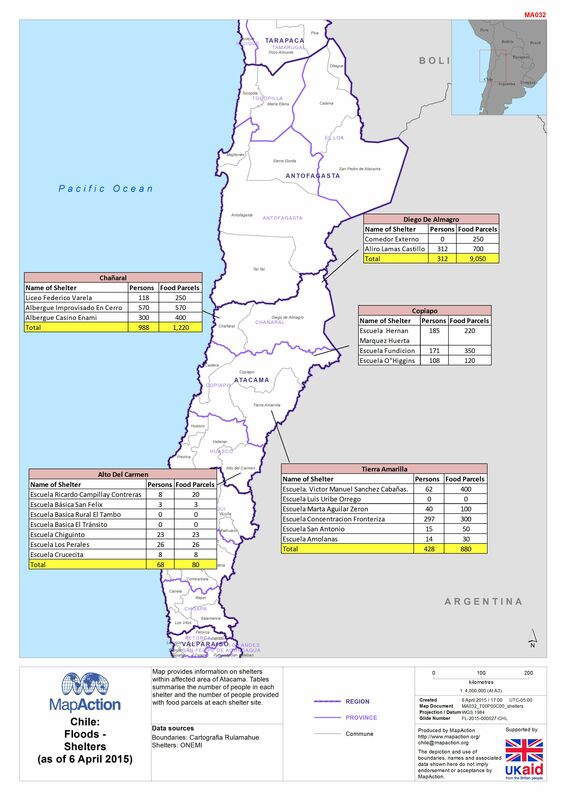 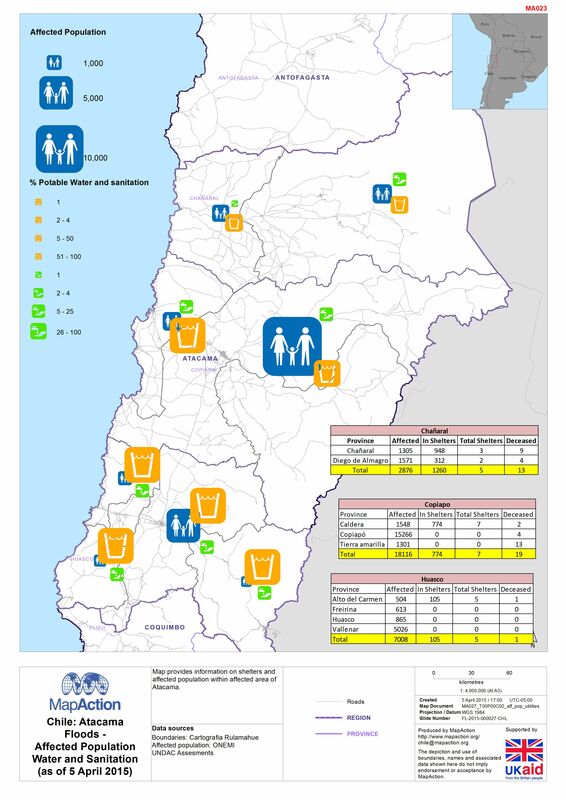 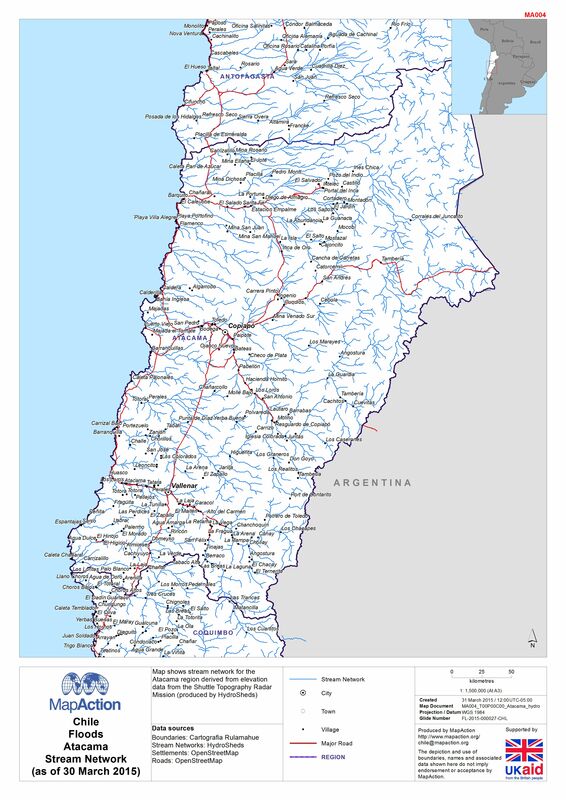 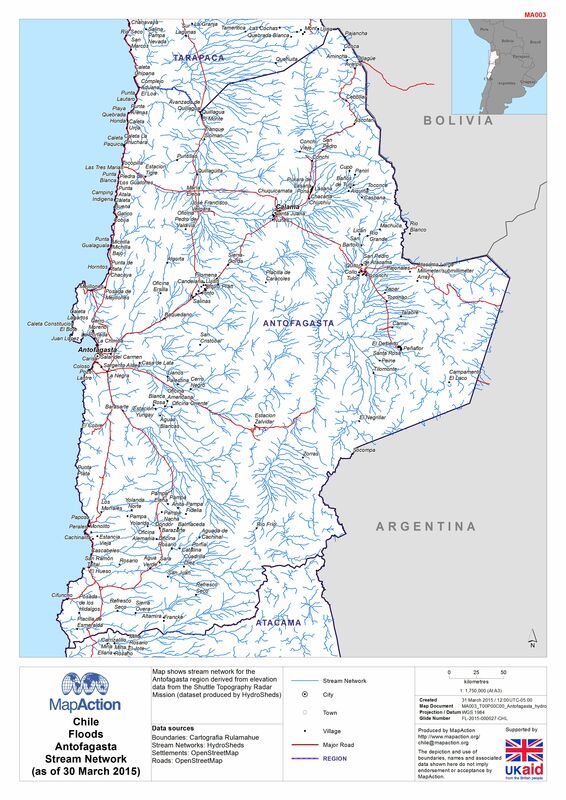 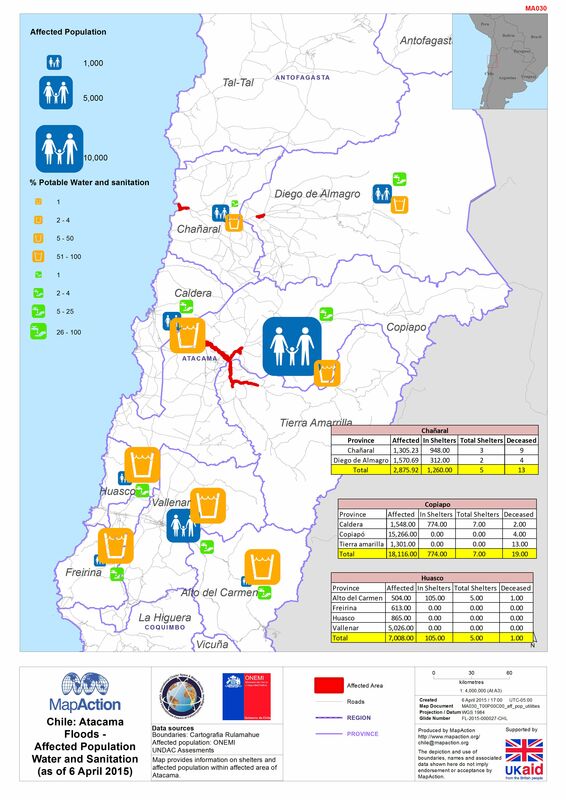 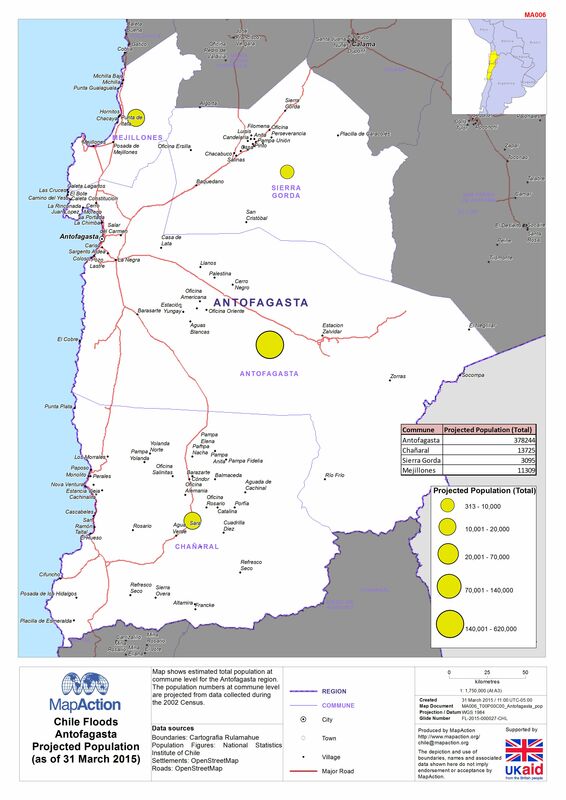 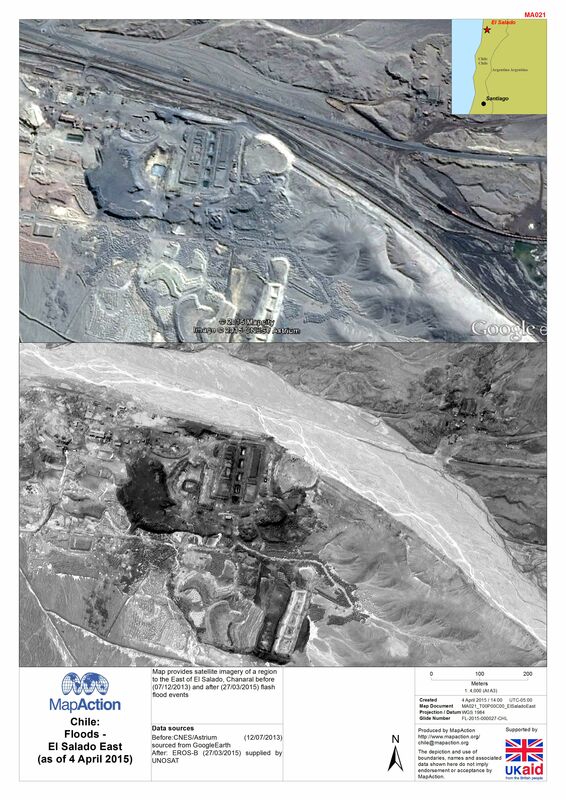 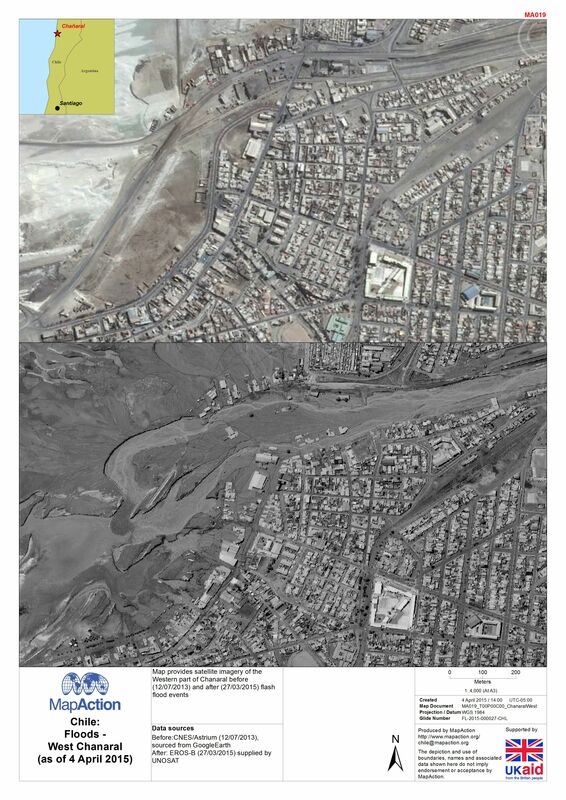 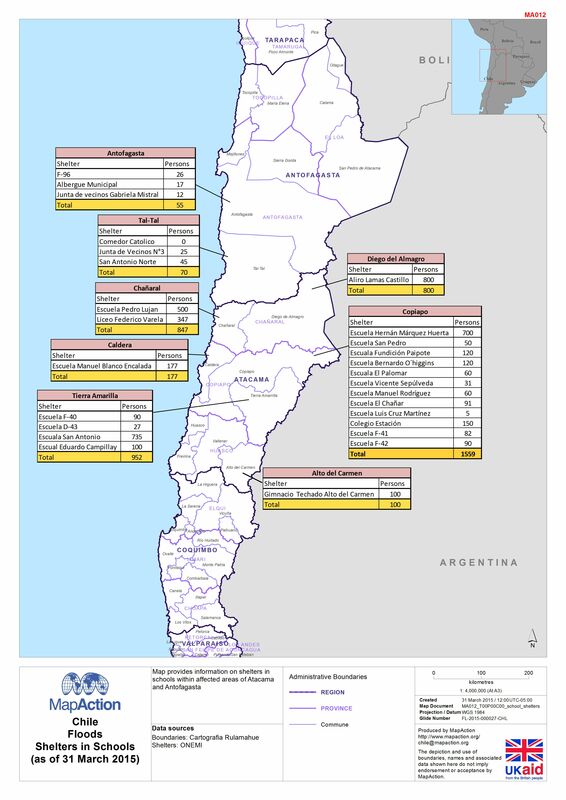 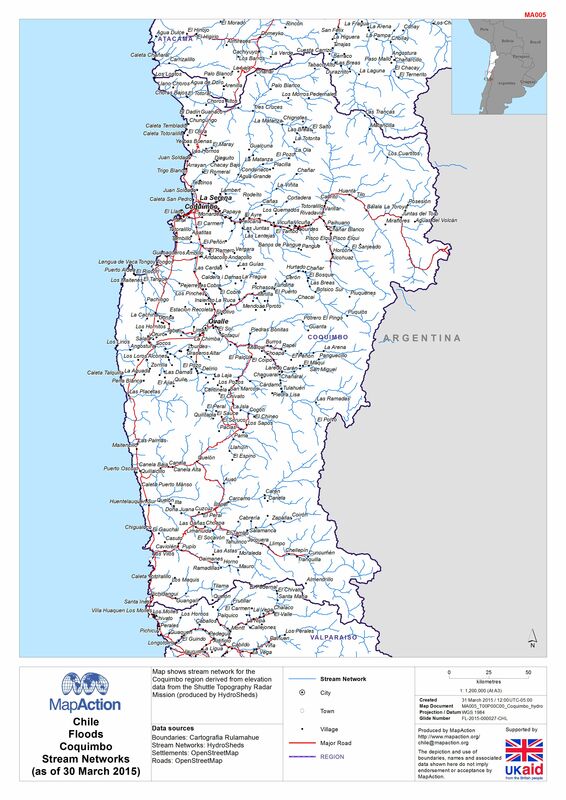 Map provides information on shelters and affected population within affected area of Atacama. 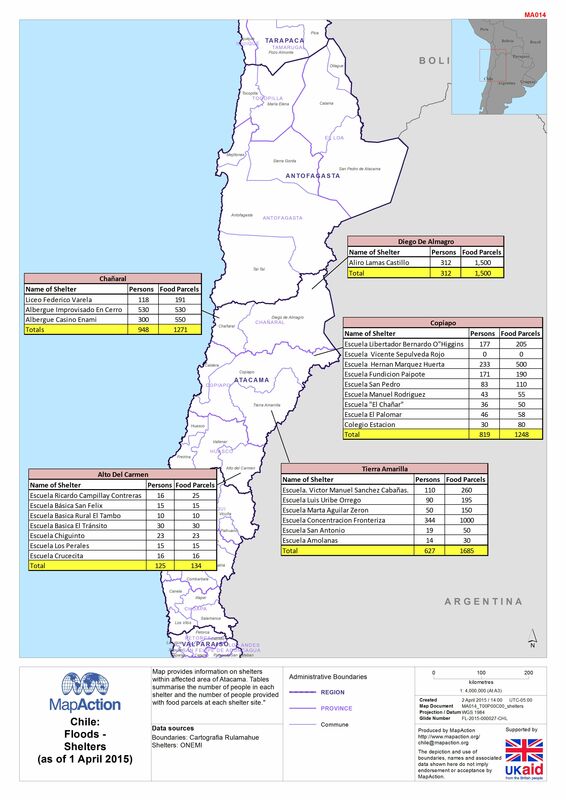 Map shows estimated total population at commune level for the Antofagasta region. 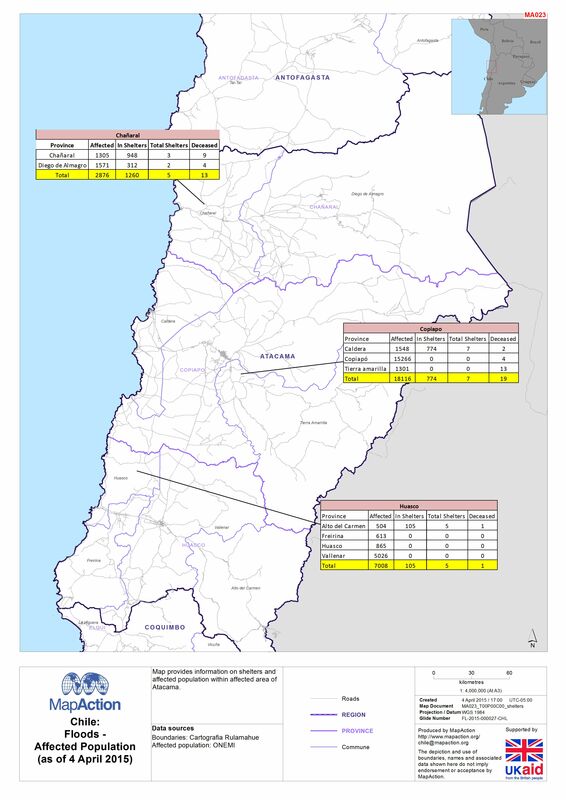 The population numbers at commune level are projected from data collected during the 2002 Census.